A Horncastle man has warned people to be aware of an internet banking scam which he says could have seen him lose hundreds of pounds. Mike Forster received what he described as an official-looking email, apparently from his bank, Barclays. He said it contained information about a series of what appeared to be very appealing special offers. To access those “offers”, he was told to use the email to access his online account and then click on a “down arrow”. Mr Forster immediately became concerned and contacted the bank, who told him it was a scam. Mr Forster said he has 30 years’ experience in the security industry and quickly recognised it was a scam. But he is concerned other people – particularly the elderly – could be taken in by the same or similar email. He told the News: “It looked very plausible, very official and contained the correct logo and the bank’s genuine email address. “It said the bank had some very special offers. “Basically, I was instructed to access my account and then click on an arrow. “I was immediately suspicious. None of it added up. I thought ‘no way’. “My assumption is, that had I have clicked on that arrow, it would have opened up a window. “Whoever was responsible would then have had access to all my information, including my password. “There was only a couple of hundred pounds in this particular account, but that’s not the point. Mr Forster says he contacted Barclays immediately and was told the email was a “direct scam”. He added: “They told me not to respond to it and stressed they do not send out emails of this nature to individual customers. “As I say, I’ve 30 years’ experience in a security background, but some people might not be aware. 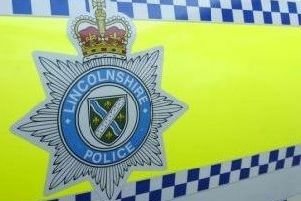 Mr Forster contacted Lincolnshire Police who told him to report the incident to Action Fraud – instructions he complied with. Despite the email, he says he has confidence in internet banking, but added people need to be aware of the potential dangers. A spokesman for Barclays said Mr Forster had done “everything right” and that security was constantly being upgraded and updated to combat scams. He said the bank had launched a TV advertisement campaign, warning about potential dangers.